Our remodeled villa has all of the modern amenities of home! 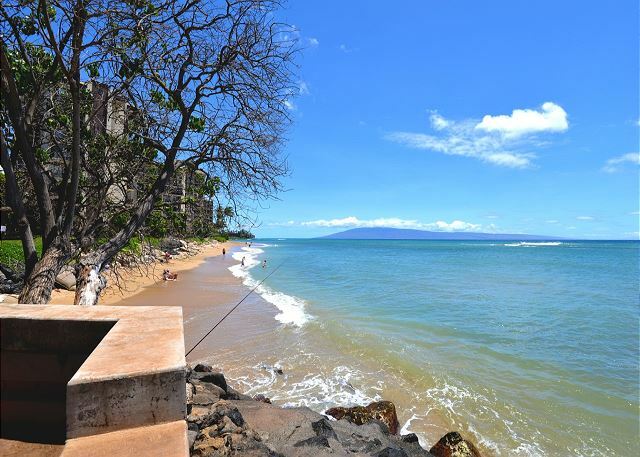 It is situated half way between Kaanapali and Kapalua Bay with plenty of shopping and restaurants near by. 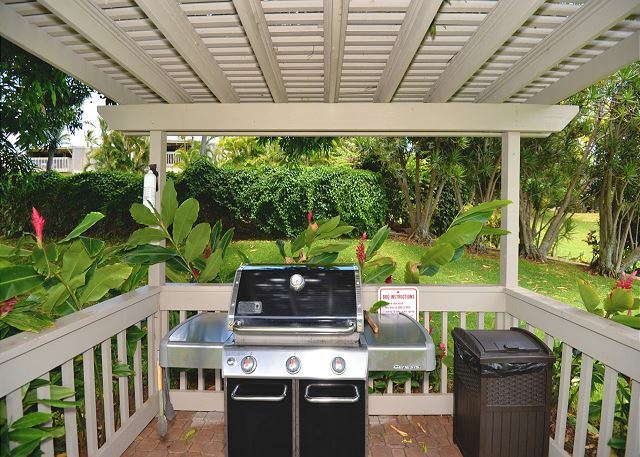 This beautifully furnished 2 bedroom 1 bath condo sleeps up to 6 people and has a large lanai that overlooks lush tropical landscapes. Enjoy all the comforts of home with TV's in every room, AC, and a washer/dryer in the unit. The property sits atop 9 acres of lush green grounds with 2 pools, tennis and basketball courts, 3 barbecue grilling stations, picnic tables and a large lounge area 10 feet from the water. The condo is perfect for couples, friends, or families. Free Wi-Fi in included as well as your own reserved parking space next to the unit. It was very convenient to everything we wanted to do but still quiet. The condo is across the street from the ocean, but we did walk over to sea the sea turtles every evening. The condo was very clean and had everything we needed! Nice little place. Convenient location close to the little town but far enough away to not be too busy and in all the hustle and bustle. We had 6 adults stay here. There are 3 full size beds (one couch fold out that is comfortable enough). 5/5 stars Review by Barbi Jo L.
All in all we enjoyed our stay at the condo. 5/5 stars Review by Greg L.
We were generally comfortable. We enjoyed the garden, the pools were great, esp. the one large enough to do laps in. A/C worked well. Great new appliances and counters and kitchen well appointed with rice cooker, blender and good quality pots. Beds were very comfortable. Abundant towels, including beach towels. No noise from other users except nearby construction noise was disturbing for the entire time we were there. Cleanliness was adequate but be aware it might not be up to everyone's standard. The floor, couch pillows, arm chair upholstery, fans, cupboard doors, bathroom lights all needed deep cleaning. That said we settled in nicely and had an affordable comfortable stay. 5/5 stars Review by Rhea I. 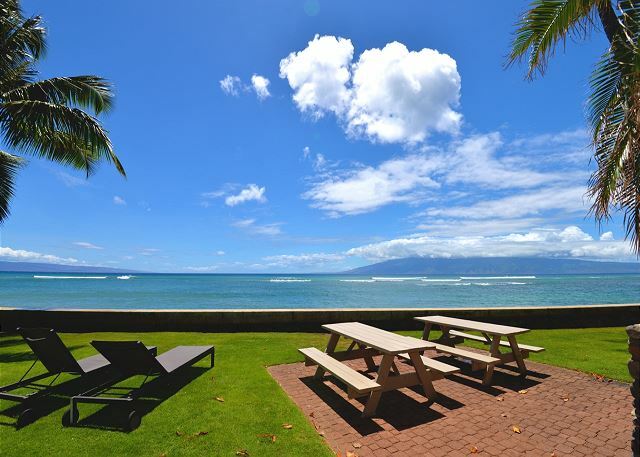 If you're running the Maui Half Marathon in October this is a great location. Very quiet, nearby restaurant (walking distance), gas station, sushi (Miso Phat). Walking distance to the beach, you can just go directly to other resort. All amenities are available in the villa and very spacious for 3 ppl. Love having the washer/dryer in the unit. There's Safeway, Napili Market, Times grocery stores nearby. If you want a unit that's quiet and away from all the tourist area, this is your place. Nadia was great to work with, I look forward to staying in this unit again on my next visit in Maui. 3/5 stars Review by TA-JonSarah B. Our original property choice was damaged due to the fire and hurricane so we were relocated further down the coast. It was adequate for our needs, a little smaller than the original and a bit further to travel to the places we had planned to visit.The management were very helpful and apologetic for having to move us when we eventually found them. It would have been helpful if they had left a message at the original property for us when we arrived as we didn't have a phone signal nor WiFi and we spent a few hours trying to find alternative accommodation before we found an address for the company and turned up at someone's house who thankfully worked for Epic Realty! 5/5 stars Review by diane h.
I had a great experience. The property was everything that I could hope for in a vacation rental. The management company was prompt in their replies, I could not get into the pool and called after hours and still talked to someone whom was able to help me. I was using the wrong gate. 5/5 stars Review by Jed W.
5/5 stars Review by RA-Darvin D.
Words can't describe Maui its definitely a island of paradise in full color of nature with its vibrant skies..one of most beautiful sunsets I had ever seen! Just outside my front door.. Yes, the location is perfectly in middle of all attractions, close to Atlantis Submarine, Maui Ocean Center, Haleakala Bike Tour etc.. good highway system (easy to find) Oh MY" the restaurants with good food!Note to personnel; Thanks for making our stay enjoyable, comfortable ...Please take extra care next time and mop or clean the tile floors it was very dirty. Aside from some issues with the rental, we had a great time in Maui. Hi Kevin, Thank you for your feedback. We are happy to hear you had a great time in Maui. Best regards, Epic Maui, LLC. 5/5 stars Review by Guy H.
I had to bring in associates from other locations to help with a refresh at my business and this property was perfect to help them enjoy their time away from work, great restaurants nearby, and was like being at home, after long days at work! 5/5 stars Review by Fred W.
My son and his family stayed five nights and thought the place was great. 4/5 stars Review by Judy P.
This property was fun and had plenty of room for our family. It was a short walk to the beach and other resorts. Close to food and shopping. The place was in good shape and a great deal for the price. 4/5 stars Review by Tracy G.
We came for a two week visit my husband and a good friend trying to escape the snow, ice and cold weather at home in Oregon. The Condo was a great home base for our visit. Close to the Shoreline, the sunsets and whale watching was amazing. Almost every day we were able to see turtle along the shoreline. The condo was clean and well appointed. The condo grounds were gorgeous and we enjoyed cooling off in the pools. We also loved the BBQ's, we grilled almost every evening. It was a great place to escape from the winter!! Great Space but read details! 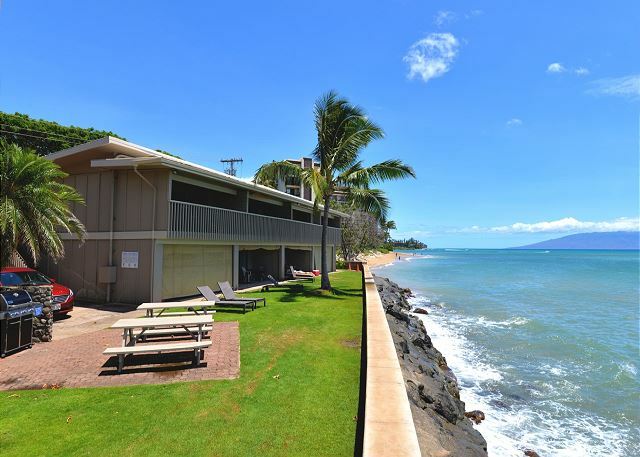 4/5 stars Review by Jennifer P.
We had a great time in this 2Br condo in Pohailani Maui which is in the Kahana area. Quiet and safe nicely kept resort. Everything we needed was there including 4 basic lawn chairs and some boogie boards. 1/2 block from a MacDonalds and 5 min from a main supermarket. Rental was clean and nicely decorated. Price was very reasonable. Definitely would recommend! Staying in Kahana means a fair bit of driving regardless if condo house. Good Beach access is driving about 10-20 min. 1/5 stars Review by Frances P.
5/5 stars Review by Tonya K.
When our original accommodation plans went awry, Helen quickly responded and set us up with a lovely place to stay at a very reasonable price. We are so grateful for her assistance.